How do you fancy arriving in Thailand and having someone meet you at the airport, waiting to hand you your mobile SIM card, paid for and ready to insert in your phone. 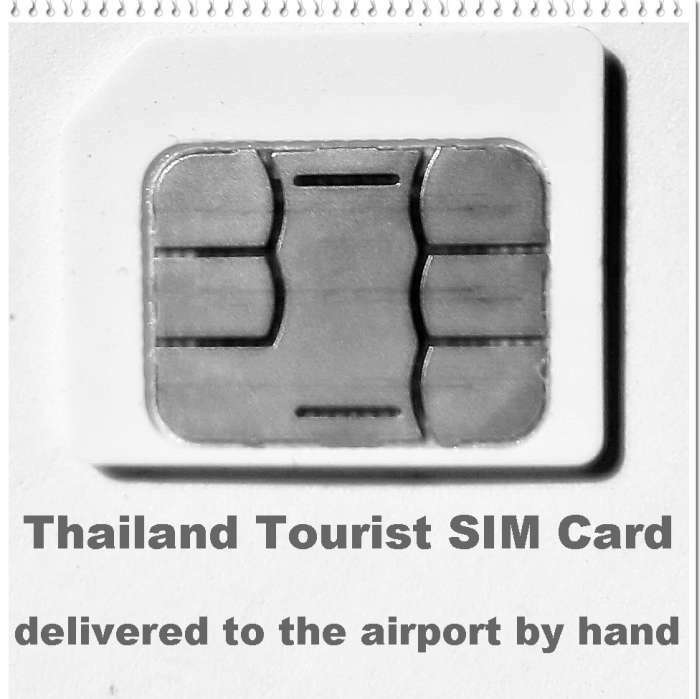 It’s easy enough to purchase a tourist SIM card when you arrive at the airport in Bangkok. When you collect your baggage and enter the arrivals hall you’ll notice Thailand’s major mobile network operators, AIS, DTAC and True have counters from which you can buy SIM cards. But why would you when you can purchase your Thailand SIM cheaper on-line, and have someone meet you at the airport with your SIM card, saving you time and money, and potentially avoiding the queues. Now, this is not something I have tried myself, I’ve had a Thailand SIM card (AIS) for over fifteen years. And I can just as easily purchase a SIM card at numerous outlets in Pattaya. I’m also not going to tell you this is a major new revelation, thousands of people have done it already, and I’m sure you could easily find the information on Google if you felt so inclined. But I do enjoy adding any useful snippets and tips which may benefit visitors to my blog, and myself of course. This SIM card will not work if your phone is locked. If you are interested in purchasing a Thailand SIM card in advance, getting a discount and avoiding the queues, check the details and read the reviews on klook.com. I might add, when you visit klook.com take a look around for the discount Thailand trips, tour and activities tickets. As a tourist you’re not limited to purchasing SIM cards at the airport. You can buy SIM cards and top up your phone credit at 7-11 stores, Family Mart, Tesco, Big C and a number of mobile phone networks and dealers. To be honest you can buy one on virtually every street corner in the towns and cities. All new SIM card purchases, and existing cards must be registered. In order to register your new SIM card you must take your passport along with you.